Just a day after the burial of Major General Julius Oketta Facki, today, November 10, marks exactly seven years since former Army Commander, Major General James Kazini Bunanukye was mysteriously murdered. Gen. Kazini’s death, which remains a mystery, is linked to his mistress Lydia Draru, who at the time resided in Namuwongo, a Kampala city suburb. However, though Draru came out and claimed to have killed the fierce General, many doubted a woman of her stature could have killed a trained military officer at the rank of Major General. That notwithstanding, Ms Draru was remanded to Luzira Prison, later charged with murder and sentenced to serve 14 years in prison. A fearless commander, Gen. Kazini is remembered for among other orders, giving instructions that all military vehicles be painted army green, an order that to date still stands and has instilled discipline among users of those vehicles. Even people like his senior colleague Gen. Elly Tumwine, who first objected to the order, later on acquiesced to have his car painted army green. In 1996, then Colonel James Kazini of the 4th Division in Gulu led troops that laid an ambush in Kaya, in then Sudan, now South Sudan, killed over 200 Sudanese soldiers and captured 150 as Prisoners of War (PoWs). The captured soldiers were brought to Makindye barracks before they were exchanged for two UPDF soldiers who had also been captured by the Sudan Armed forces, whose Commander-in-Chief was General Omar al Bashir. That ambush led by Col. Kazini was the turning point in the SPLA war against Bashir which later led to the Independence of South Sudan in 2011. In fact, after that battle President Yoweri Museveni personally called Col. Kazini in Gulu and thanked him for ‘revenge and fighting Khartoum soldiers’. This was one of the fierce battles fought; LRA leader Joseph Kony had established big camps with schools, hospitals and training camps. After walking hundreds of miles inside South Sudan without enough supplies, the UPDF soldiers attacked the camps and it took them a week before dislodging LRA from the bases. It was the beginning of the end of the LRA because Kony fled his hideout in southern Sudan forested Imatong mountains. Imatong and upper Talanga mountains have large caves supplied with water springs and for about eight years, the place had been used as a retreat safe haven by the rebels after killings, abductions and destruction of property in northern Uganda. The scarcely populated region stretches over 80km and runs along Kitgum and Kotido district borders. After pushing them out of Imatong, the rebels fled down to the Katire plains. It was after this pressure mounted on the rebels that Kony ordered his commanders in northern Uganda to stop attacking internally displaced people (IDP) camps in Uganda. Kony’s message issued through LRA officer ‘Brigadier’ Sam Kolo, who later surrendered and returned home. Kony also ordered Kolo to contact government for negotiations. 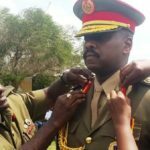 Kony thought that attacking camps in northern Uganda would force UPDF to withdraw from Sudan but instead the attacks intensified. Then army spokesperson Captain, now Colonel Bantariza said: “We are not going to make mistakes of the past. We are not quitting Imatong and those other sanctuaries of Kony in Sudan. At the same time, we shall hunt them all over the north,” Bantariza said. After Uganda Peoples Defence Forces (UPDF) and Rwanda Defence Forces (RDF) disagreeing on how to plan and execute the war against President Laurent Kabila, the two armies clashed in the Democratic Republic of Congo (DRC) and there are many untold stories about the three battles named; Kisangani One, Two and Three. Rwanda and Uganda were nominal allies in Congo’s civil war, which broke out in 1997. They each backed a rebel faction fighting to oust Kabila — but they clashed and at the time the United Nations military observers said 6,000 mortar shells had fallen on Kisangani. Those in the know say despite RDF getting reinforcement to exterminate the few UPDF soldiers in Kisangani, Gen Kazini put a up fierce fight against Rwandans; they say he was surrounded by a big Rwandan force but drove a tank through the ambush and got out of the enemy siege without any injury. It is said that at the time Gen Kazini, then Col Kahanda Otafiire and Maj Rauben Ikondere intentionally switched off their communication gadgets to avoid getting orders from Kampala, instructing them not to retaliate. 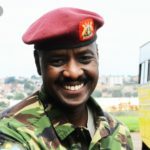 Indeed, Maj Gen Kazini sent a message to the commander of Rwandan forces Brigadier General Kayumba Nyamwasa, indicating that ‘UPDF boys coming about to visit him’. And indeed, a Rwandan base was erased and it is said hundreds of RDF soldiers were killed including young officers who had just completed a cadet course in Rwanda died. The UPDF also lost a number of soldiers who were buried in Congo. 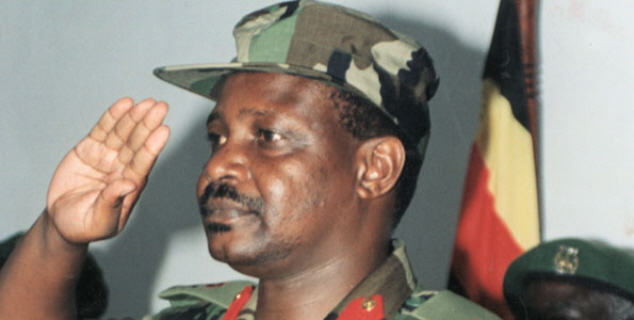 Maj Gen Kazini also commanded ‘Operation Safe Haven’, aimed at flushing out rebels of Allied Democratic Forces from the Rwenzori Mountain ranges, and in the DRC. 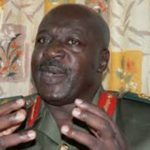 According to sources, Gen Kazini even developed swollen feet because of climbing mountains to command the operations against the ADF, which forced them to retreat into the DRC. Subsequently he established the UPDF Alpine Brigade commanded by then Lt. Col. Dura Mawa Muhindo, who was later to become the Kasese district LCV chairman on joining civilian life. Earlier, it is said that Gen. Kazini together with Col. Kahinda Otafiire and Noble Mayombo (RIP) saved life of then Brig. Kale Kayihura (currently a General and serving as the Inspector General of Police, IGP) following his capture by enemy forces led by Congolese rebel leader Thomas Lubanga, who, at the time, was allied to the RDF. The enemy forces had captured Brig. Kayihura and had told him to jump frog for a kilometer.